In response to a question I received, I thought I'd write a brief overview of Addison's disease, a condition that occurs more frequently in certain autoimmune diseases. 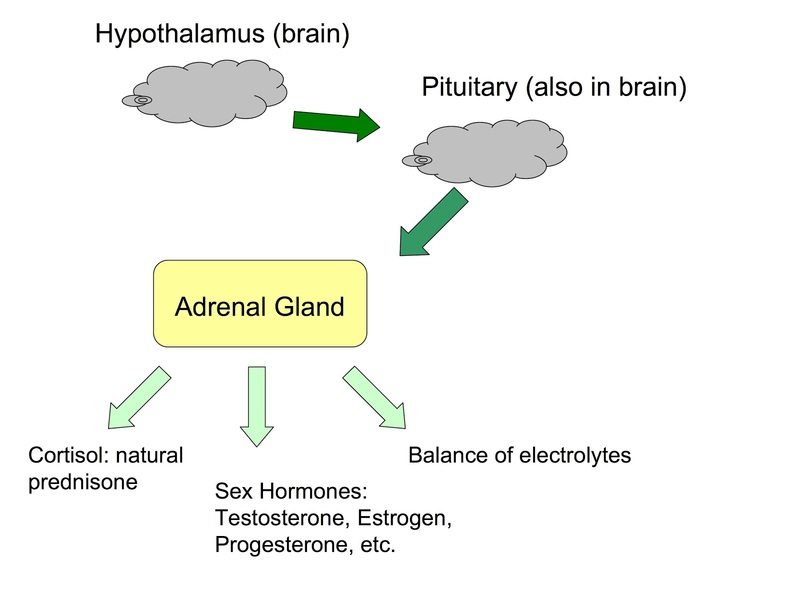 Unfortunately, sometimes the adrenal gland is damaged or stops producing hormones. This can happen for many reasons. Unfortunately one of the reasons is that the immune system can attack and damage pituitary gland in an autoimmune disease. 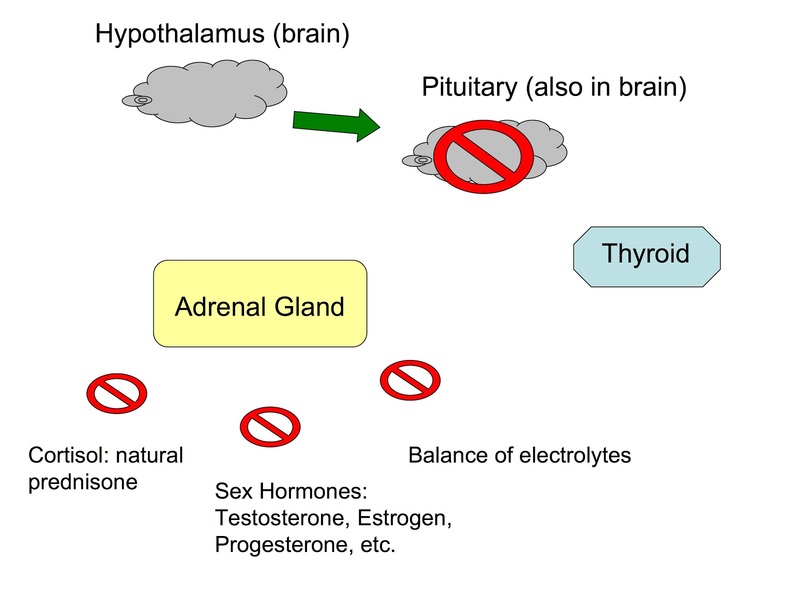 When this happens, the pituitary stops sending messages to the adrenal gland, so the adrenal gland stops making hormones. While there are infections and/or other circumstances that can cause the pituitary to stop working (massive bleeding, for example), the autoimmune reaction against the pituitary gland is the most common cause of Addison's disease. So how do you treat Addison's disease? Basically by replacing the hormones that should be made by the adrenal gland. Additionally, since the pituitary gland also controls the thyroid, synthetic thyroid hormones must be taken by the patient. Hormone treatment must continue as long as the pituitary is not working. In many cases the pituitary gland has been so badly damaged that hormone therapy will be required for life. The good news is that, once physicians tweak the doses a bit, the synthetic hormones will work pretty well, and a patient will feel as close to normal as is possible in an autoimmune disease.